My name is Allan Lewis Hughes. I was the youngest of my brothers Dylan and Lee. Always trying to keep up with them I found myself growing up at a rapid pace. At the young age of 12, I found out that growing up also meant living with Crohn’s. Despite this, I grew up playing sports, becoming known as the tough kid who showed no pain, all the while my body was fighting me each step of the way. I fought back silently, offering up a smile to onlookers before I would ever show a grimace of pain. My loving parents John and Debbie would instill in me the idea of selflessness. I carried this through my adolescent years, putting others before myself. I held my friends and family close to me, for it was their needs that came before mine. I believed that to be truly happy, I had to help those around me to be happy themselves. This sacrifice played directly into the desire to become to a police officer. 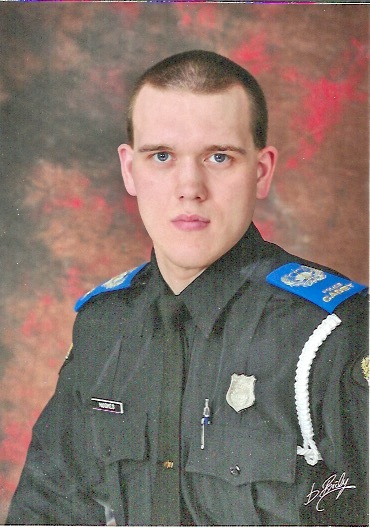 While attending Atlantic Police Academy, I learned that despite the one desire I had that I put before all else, my Crohn’s disease would attack my body like never before. I pushed through every workout, class and assignment with determination, graduating with honours. I was in the best physical shape of my life and I was determined not to let this disease become my legacy. I graduated from the Atlantic Police Academy on September 2011. Thus accomplishing a lifelong goal. It was my desire to bring the Gutsy Walk to Fredericton, N.B. On June 2, 2019 this will happen for the 4th year. My family invites you to join together at Carleton Park, in Fredericton, N.B., TO MAKE IT STOP FOR LIFE so that no others succumb to their disease and that we can all live in a world without Crohn’s and colitis. JOIN US - Together we can Make it stop. For life.